Welcome to Our New World! | Ascension 360º - Navigating the New World Energies! Welcome to Our New World! We have now rapidly moved into a new dimension and higher frequency of energies governed by very different rules. So… are you ready to dwell in this new way of living and being, in an expanded state of consciousness where we must now see with new eyes and where Heart Wisdom reigns? Join Hillary and her guests in heart-provoking, mind- and frequency-expanding, provocative conversation about everything “new” – from the new world economy, governance and commerce to the new YOU – inside and out; to our new relationship with money and prosperity and the new Unity Consciousness; to a new way of dealing with and relating to fear, ego, karma and negativity; even a new look at how we “look” at everything – right down to the new air we breathe! 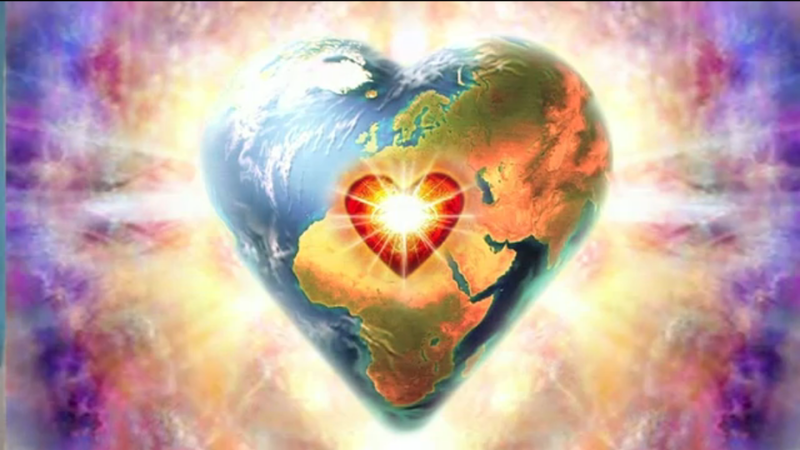 Hillary will help us navigate these New World energies, assisting us in making and integrating this extraordinary transition with calm and ease, without fear and struggle while learning to speak the new language of the Heart to create, build and sustain a very new reality. So, fasten your seat-belts and prepare for life over the dimensional border in a new space and new reality that is not only out of THIS world but of the new Multi-Dimensional kind, indeed – with and on purpose, new eyes and hearts open! She Talks To The Animals – Hillary’s newest role as Wildlife Whisperer! Click here to learn more about how Hillary, The Dragons and Elemental Team can be of vibrational assistance to you and your precious animal/s! Embrace and Unleash Your Creation Power! Be sure to check out the Ascension Symptoms page for community conversation and comments from listeners, visitors and Hillary on the latest with what is going on with our bodies, minds, vibrational frequencies and spirits. So be sure to subscribe to the A360º Newsletter to stay tuned in and tuned UP! For an individual telephone or audio Skype Intuitive reading with Hillary regarding your specific Ascension Symptoms and/or experience, click here for details and information. To Meet, Connect and Commune with YOUR Dragon!©, click here. For a Dragon Frequency Attunement©, click here. For Communication and Healing for your Animal, click here.